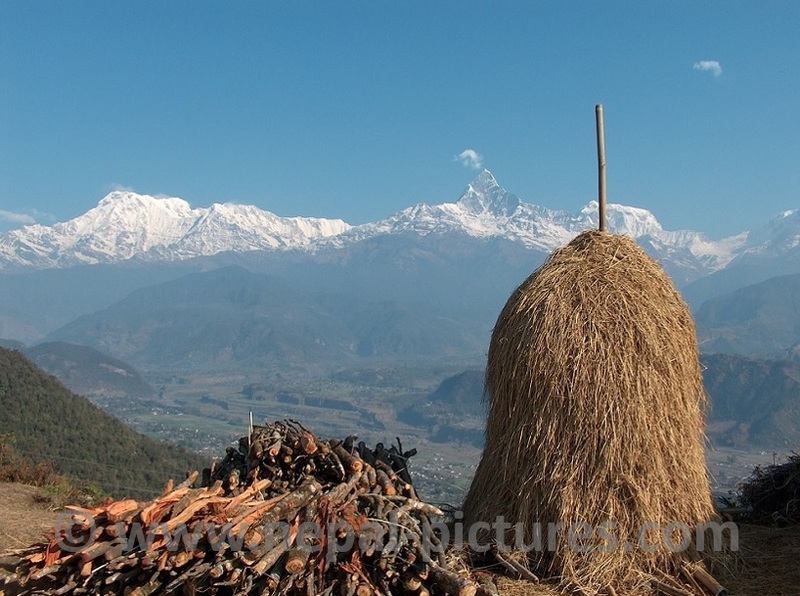 This photo has been taken just outside Sarangkot. In the front a pill of firewood and a haystack. In the middle the valley where the Seti river is flowing and in the background the mighty peaks of Machhapuchhre and Annapurna.